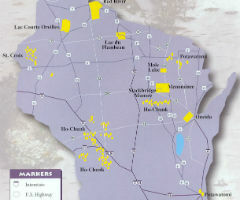 DRW understands that the Wisconsin Department of Health Services (DHS) has been working with the state’s 11 Federally recognized Tribes for a long time to find avenues to provide culturally sensitive and relevant long-term care services for Tribal members in the context of Wisconsin’s Family Care Waivers. These efforts require the balancing of federal requirements and Tribal sovereignty. Though there seem to be missing pieces to clarifying a complicated process, we are pleased to see something move forward. We offer the following comments. The amendment describes the enrollee’s right to choose between all of the HCBS programs (Family Care, Family Care Partnership if available, or the self-directed services program IRIS), if eligible. Further, if enrollees are Tribal members, they will have the right to select their Tribe’s Indian Health Care Provider (IHCP), if available, to provide them case management services and/or care services rather than the PIHP’s case management and/or contracted network of service providers. We understand that the Centers for Medicare and Medicaid Services (CMS) will allow this model, but we are concerned about a lack of mitigation strategies to address potential conflicts of interest. For example, should a Tribal enrollee be allowed to choose either case management through the individual’s Tribal IHCP or direct services through the IHCP, but not both? Also not addressed is whether a Tribal member can choose case management or direct services provided by another Tribe’s IHCP. Because of close relationships, members might not want to access services by their own IHCP, but might want a culturally competent case manager or services. To build in some separation, could a mitigation option be the choice of case management from one Tribe’s IHCP and direct services by another Tribe’s IHCP? Tribal members will have the choice of having their functional screen conducted by the Aging and Disability Resource Center (ADRC) or if available the Tribal Aging and Disability Resource Specialist (TADRS). DHS has a good tradition of maintaining separation of the functions of screening, options counseling and service provision. What measures will be taken to protect against conflict if a Tribal member is screened by a TADRS, then chooses IHCP case management, and then chooses IHCP service provision, or any variation of two of these? There appear to be no changes to the section on participant rights. This seems to be an important element to the success of the Tribal amendment. Because no changes have been made, the waiver does not address what entity holds the responsibility for proper notices of action and explanation of rights. As the program model is designed, a Tribal member will enroll with a PIHP, but might choose to receive case management through the member’s Tribal IHCP. If that IHCP takes an action, such as the termination or reduction of a service, which entity is responsible to issue the Notice of Action, and by extension, which agency will be responsible to support the action in a formal appeal? Which entity is responsible if that Notice or other elements of due process are out of compliance with regulation? To which agency is the member appealing or grieving when attempting to resolve an issue or decision? We are concerned that without clarity Tribal members might get caught in the middle of nebulous responsibility by these decision-making entities, leaving members unable to find resolution through either informal or formal means. Independent ombudsman services are mentioned, and they play an important role in assisting adult long term care participants across the state to access their due process rights and ensure their needs are met. Ombudsman services are available to Tribal members as well as everyone else. However, due to historical trauma and cultural trust issues, it is unlikely that Tribal members will reach out to the independent ombudsman programs to ask for help. In addition, specific regulations, treaties, and Tribal exceptions to financial eligibility all require specialized expertise in order to assure that Tribal members most in need are able to access these programs. Access to due process rights that affect provision of needed services are of concern. These issues cannot be addressed by simply increasing the cultural sensitivity and competence in the existing ombudsman programs. Building relationships with Tribal members and leaders, while building expertise in rules and regulations, will ensure that Tribal members are able to access ombudsman services. We recommend that DHS fund specialized ombudsmen available to all 3 target groups (I/DD, PD, FE) in Tribal communities. Preferably, these ombudsmen would be representatives of American Indians/Native Alaskans and would be tasked with enhancing specialized knowledge, building positive relationships with Tribal members, opening the door to access to assistance when barriers to services are encountered, and ensuring Tribal members’ access to due process. Because the amendment adds complications to the enrollment of Tribal members, including the numerous choices, the newness of the untested process, and the relevant rules and regulations, it will be important for DHS to specifically track the issues that arise. The EQRO currently tracks appeals and grievances across the state, and we assume tracking of appeals and grievances for Tribal members will be folded into that data. We recommend that DHS ensures that as the data is compiled, it is done so in a way that will to provide opportunities to identify trends or issues specific to Tribal members. No changes were made to this section. But it isn’t clear how reporting and oversight of critical incidents will occur for members who receive case management from IHCPs. The same question applies to the use of seclusion and restraints. What process will apply to Tribal case management for requests to use restrictive measures and for oversight? Clarification is needed here. We also recommend the addition of a Tribal representative or liaison to the Division of Long Term Care Restrictive Measure Review Panel.